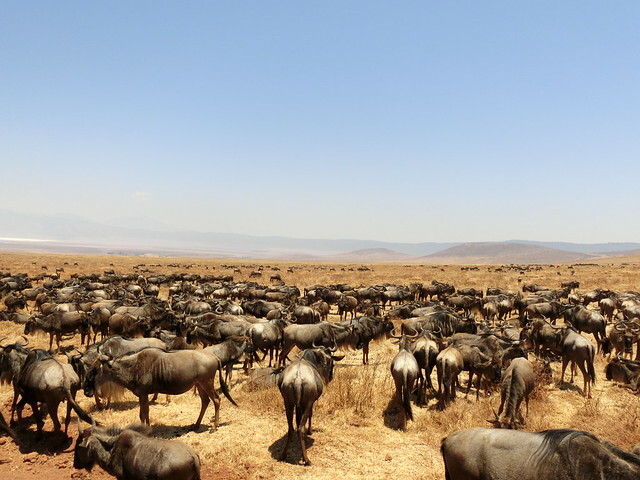 Ngorongoro Conservation Area, Tanzania. We visited here for our honeymoon trip. Hundreds of Gnu are welcoming us.